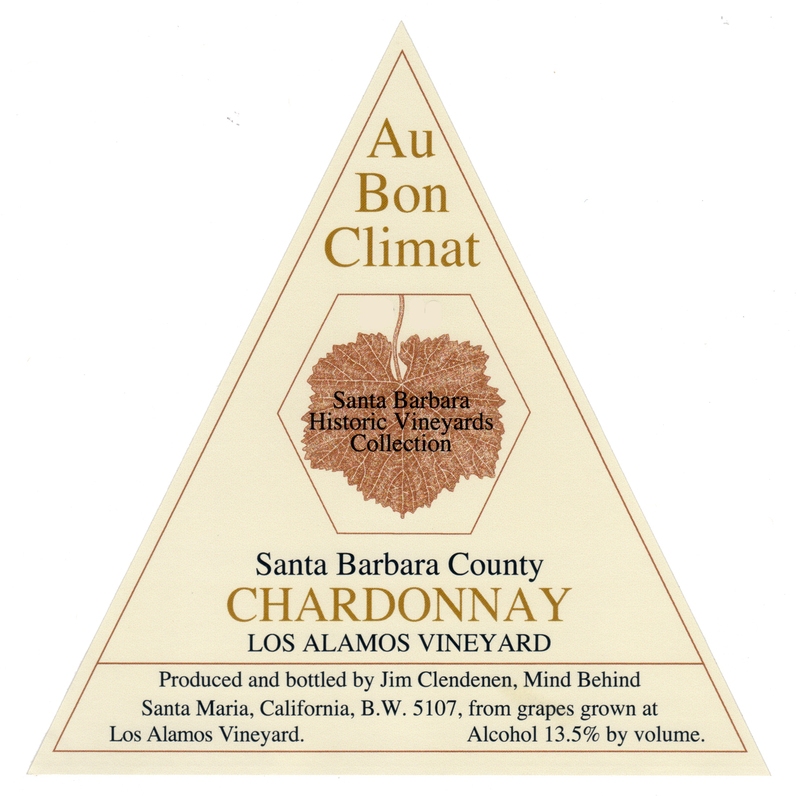 This “Los Alamos Vineyard” bottling is part of Jim Clendenen’s “Santa Barbara Histroic Vineyard Collection”. Au Bon Climat and Los Alamos Vineyard actually have a bit of shared history — the first Au Bon Climat winery in 1982 was a small converted dairy barn on the Los Alamos Vineyard property. Los Alamos Vineyard is roughly 500 planted acres, most of which is on the flat bottomland of the Los Alamos Valley that is sandwiched between the Santa Ynez Valley and Santa Maria Valley AVA’s, but for this bottling Au Bon Climat sources exclusively from the best site, Block 18, which is located 1,000 feet up, at the top of the wind-swept slopes of the Solomon Hills. On this hilltop the wind and gravelly, more substantial soils produce much lower yields as the grapes struggle to ripen. This results in much greater fruit intensity and concentration. The fruit is carefully hand picked and sorted in the vineyard, then whole cluster pressed, chilled and settled overnight. The juice is then barrel fermented in Francois Freres French oak barrels (50% new) and undergoes full malolactic fermentation. The wine is aged 12 months on the lees.